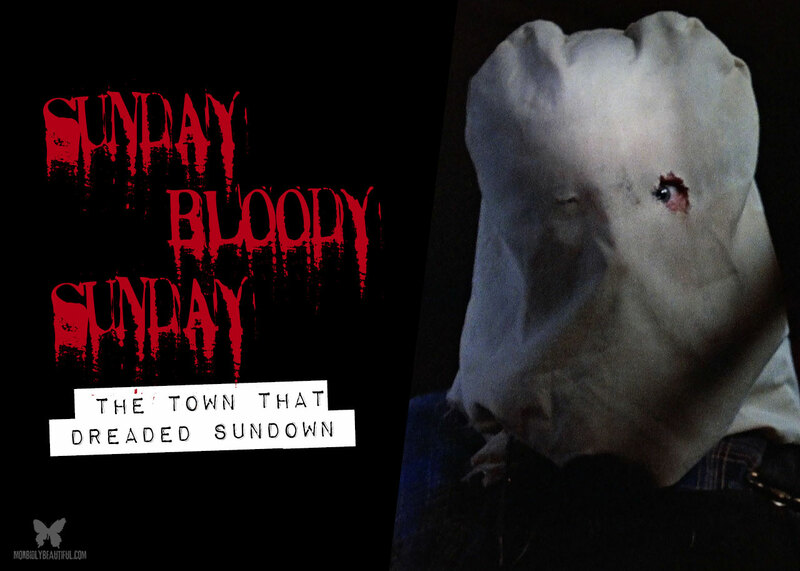 A nostalgic look back at the 1976 true crime-inspired film that first made me a slasher fan, “The Town That Dreaded Sundown”, and the clever 2014 sequel. Some people say you never forget your first kiss. I can’t argue with that. 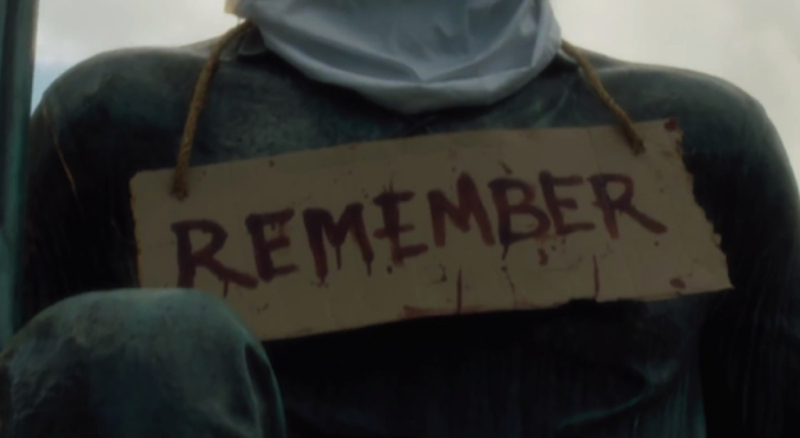 But I would add, you also never forget your first slasher movie. The selection that night was a double feature of Walking Tall, Part III and a movie I had never heard of, “The Town that Dreaded Sundown”. After watching the fairly brutal (for the time) action movie and a short intermission, we settled in for what would become my first taste of unedited horror. Released in 1976, the movie The Town That Dreaded Sundown is based on a series of real murders that took place in 1946 in Texarkana, Texas. Several couples are attacked over the course of the movie with the murders being attributed to the “Phantom Killer”, a hooded figure who kills with knives, guns, and a trombone (Yes, you read that correctly.) 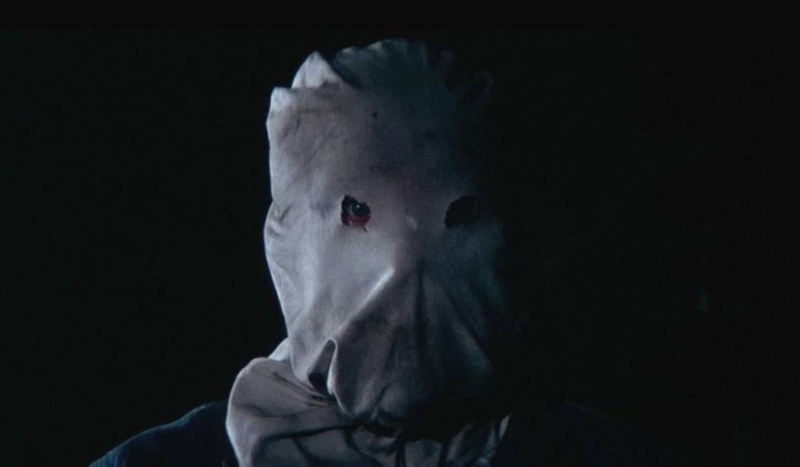 One look at the Phantom Killer also proves that this film most likely influenced Jason Voorhees’ appearance before he discovered his iconic hockey mask. The movie is told documentary style, with a narrator explaining the events and the actions taken by the police to solve the crimes. The Phantom strikes every twenty-one days, with the last time falling on prom night. A famous Texas Ranger is brought in to work the case, and he nearly catches the Phantom, only to have him escape at the last minute. Throughout The Town That Dreaded Sundown, it is implied the Phantom is moving undetected among the citizens of Texarkana and following the police investigation. As abruptly as the murders started, they ended about ten weeks after the first murders. The movie insinuates that the Phantom is still around, even thirty years later when the movie premieres in Texarkana. Despite being “based on true events”, the movies producers were sued by one family over how they felt their family member was depicted. The movie places the murders in Arkansas, but most of them occurred in the rural Texas countryside surrounding Texarkana. And there wasn’t a trombone. One of the victims played the saxophone, but that would be a little harder to turn into a weapon. Rewatching the movie, the fact that I found this scary is almost laughable. There really isn’t anything scary about it, but I remember being sprawled out in the backseat of my mom’s station wagon with my cousin, and half the time we had blankets over our eyes and were asking my kid brother what was going on. The movie also has a lot more humor to it than I remember….and an appearance by one of my childhood crushes, Dawn Wells (Maryann on Gilligan’s Island). It is the ending of the movie — that implication that the killer still walks among the citizens of Texarkana that sets up the 2014 sequel to the original film. 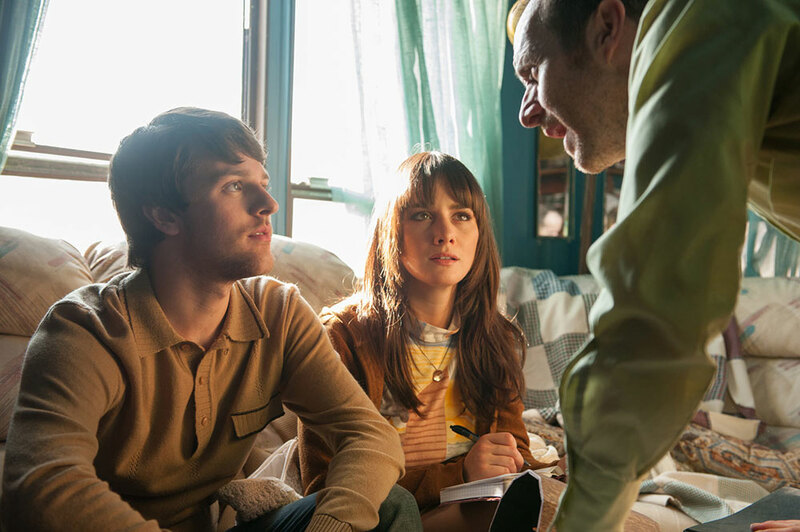 As there are more murders following the film (that trombone comes back), Jamie investigates with the help of Nick (Travis Trope), a former classmate. Scenes play out from the original film on television screens, only to witness them again as they are reenacted by the current Phantom Killer. Jamie and Nick track down the son of the director who made the original movie and learn his theory of who the killer may be. The sequel is very much a mixture of the original film with elements of “Scream” thrown in for good measure. The ending is your standard horror cliche, but it doesn’t take away from the overall fun of the movie. Solid performances from the leads, and a creative premise raise this above your standard remake. It is also notable as being one of the last roles for Edward Hermann (The Lost Boys) and Ed Lauter (Cujo). 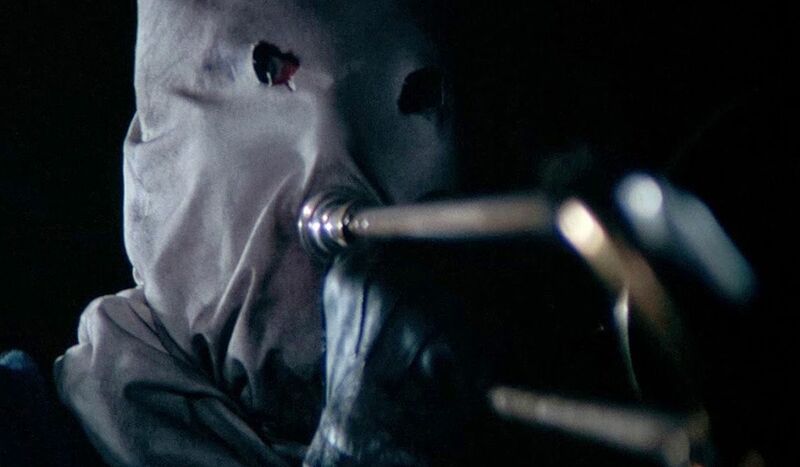 The Town That Dreaded Sundown in both its incarnations are well worth checking out if you haven’t seen them before. The original will always have a special place for me, despite it’s cheesy 70s feel, and the sequel breathes new life into the Phantom Killer.